The first Catholic presence in Mosinee (then known as Little Bull Falls) dates to 1845 when Fr. Louis Dale visited several lumber camps at rare intervals. Over the years from 1845 until 1878, in addition to Fr. Dale, Fathers Estchmann, Stehle, Polack, Lux, Hengen, Spitzlberger, and July also came at various times from all over central Wisconsin to celebrate Mass for the Catholics of Mosinee. During these years, however, there was no parish church. Mass was said in Robert Freeman's home on Second Street and the home of Sebastian Kronenwetter on Third Street. At times Mass was also offered in the local hotel. In 1874, Fr. Theodore Richard, a priest from Wausau, began having monthly Masses in Mosinee and was asked to organize a parish. By 1875, with a population of 545 in Mosinee, the Catholic community saw the need to build a permanent place of worship. Richard Malone and Sebastian Kronenwetter, along with Fr. Richard, led the drive to obtain funds to construct the new church. In September 1878 the cornerstone of the first Catholic church in Mosinee was laid. The following summer the church was completed at the cost of $1,800. Although the parish of St. Paul now for the first time had a permanent place for worship, it was still in need of a priest to lead the worship. Fr. Richard was already pastor in Wausau and thus could not come to Mosinee very often. In 1885 Bishop Kilian Flasch assigned Fr. Gilbert Nuanno as the first resident pastor of St. Paul Parish. Fr. Nuanno stayed for three years and was succeeded by Fr. Albert Mendel. Because of poor health, Fr. Mendel left after only one year. Fr. Costantine Nau took Fr. Mendel's place and became St. Paul's third pastor. Up until this point, all the pastors of St. Paul had lived in the house owned by Dessert Lumber Company. In 1890, one year into Fr. Nau's time as pastor, St. Paul's first parish rectory was built. Its cost was $1,900. Organization of formal groups at St. Paul's began in the 1890s. The men were the first to organize. They formed the Knights of Columbus. Later, in September 1897, the Altar Society was formed. This group consisted of women of the parish, and is what we now know of as St. Monica Council. The fourth pastor, Fr. P. Dickopf, was pastor of St. Paul Parish from 1895-1901. By 1897 overcrowding was a serious problem and a project to renovate and enlarge the church was completed at a cost of $1,500 with involvement from St. Monica Council. 1901 saw the departure of Fr. Dickopf, who was replaced with St. Paul's fifth pastor, Fr. Gerhard Vadder. Fr. Vadder enlarged the basement and installed a new furnace in the church. Fr. J.S. Laurer, the sixth pastor, came in 1907. In 1910 Fr. Bernard Klein came as the seventh pastor for five years. Fr. J.J. Rolbiecki was the next pastor from 1915-1918. Fr. Rolbiecki “modernized” the rectory by putting in electricity, running water and a furnace. In 1918 Fr. James Brzezinski became St. Paul's ninth pastor. Fr. 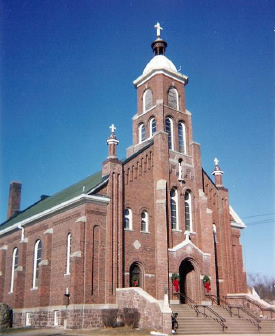 Brzezinski became aware that overcrowding was again an issue in the parish and the decision was made to construct a new St. Paul Church. The old church was moved to where St. Paul School now stands and the present St. Paul Church was built at the cost of $54,000. The first Mass in the new church was celebrated on Christmas Eve 1922 with the dedication by Bishop Alexander J. McGavich taking place on April 15, 1923. In 1928 the 50th anniversary of the parish was observed. At this anniversary a statue of St. Paul was blessed and enshrined outside the church above its main doors. Fr. Brzezinski remained as pastor of St. Paul Parish for 14 years until 1932, when he died suddenly at the early age of 40. After the sudden death of Fr. Brzezinski, Fr. Joseph Cysewski became the tenth pastor of St. Paul in 1932. Fr. Cysewski paid off the $7,000 debt that remained on the new church. It was during Fr. Cysewski's time at St. Paul Parish that the original St. Paul School was built in 1938 at a cost of $44,000. It had six classrooms and a large basement which was fully equipped for school and parish activities. On August 28, 1938, Auxiliary Bishop William R. Griffin blessed the new school and it opened its doors for the first time that fall with 213 students. The students were taught by six Franciscan Sisters of Perpetual Adoration who came from La Crosse. The former Blair house on the corner of Fifth and Jackson Streets was purchased as the convent for the sisters. In December 1950 Pope Pius XII named Fr. Cysewski a monsignor. There was great rejoicing in Mosinee and at St. Paul the day of his investiture. From then on, he became known as “Monsignor Cy.”. Under Msgr. Cy's direction, the present rectory was built two years later in 1952 at a cost of $59,400. In 1958, after 26 years at St. Paul, Msgr. Cy was assigned to serve St. Stanislaus Parish in Stevens Point. St. Paul Parish found itself in need of a new pastor for the first time in a quarter-century. With the reassignment of its pastor, Msgr. Cysewski, to Stevens Point, St. Paul received its eleventh pastor in the person of Fr. Joseph Tetzlaff on June 4, 1958. The first effort put forth by Fr. Tetzlaff was to increase the size of the school. The school enrollment had more than doubled since it opened in 1938: the student population in 1958 was 417 students. So, in 1959, an addition to the school was built for $83,000. That addition saw the creation of three new classrooms, two offices, a large multipurpose room, a full kitchen, additional restrooms and room for three more classrooms at a later date. With an increase in student population, the need for teachers grew as well.  The number of Franciscan Sisters grew to eight. This in turn created a need for a new convent. On December 21, 1960, the sisters moved into their new home. The new convent on Fifth Street was built for $64,800 next door to the old, which was then removed. The lot where the old convent had stood was then landscaped. Bishop Treacy blessed the school addition and the new convent in ceremonies held in April 1961. Beyond this, property for a playground and the present parking lot were also acquired for the parish by Fr. Tetzlaff. In 1962 changes in the Catholic Church began to take place. Pope John XXIII brought the people of God the Second Vatican Council and allowed the Holy Spirit to renew the Church. Some of the changes which occurred included the Mass being said in English instead of the traditional Latin. The congregation was encouraged to sing and participate in the Mass. It also came to be that those receiving Holy Communion could choose to have it put into their hands instead of the tradition of having it placed on the tongue. These transitions had to be taught and explained by Fr. Tetzlaff, as he became not only a builder of buildings in St. Paul Parish, but also carried out the restructuring of the liturgy and the institution of the roles of lector and Eucharistic minister as mandated by Vatican II. Parish councils and financial councils were also established under these new mandates. These many changes were sometimes difficult to understand at first, however they have all come to be accepted. As a part of Vatican II, an extensive remodeling of the interior of St. Paul's took place in 1977. The tabernacle was moved from the focal point to a side shelf in accordance to the new liturgical guidelines and the Risen Christ became the new focal point of the church. A marble altar which faced the people was added to the sanctuary as was a marble lectern. The sculpture of the Last Supper which had been a part of the old altar was framed by Jerome Krieg and then hung in the back of church over the center entrance. As the renovation neared completion, on May 21, 1978, St. Paul Parish observed its centennial, celebrating 100 years of worship, presence, service and commitment as a community of believers. One year after St. Paul's 100th anniversary, in 1979 Fr. Tetzlaff celebrated the 40th anniversary of his ordination to the priesthood. In 1982 St. Paul Parish developed the Circle of Joy food pantry. This food pantry has since become an ecumenical endeavor of area churches and service groups. In 1987 Fr. Joseph Tetzlaff retired after 29 years at St. Paul Parish, but he was not forgotten. One year later, when the parish facilities were once again expanded, he became the namesake of that latest addition. The Tetzlaff Center was dedicated in 1988 in honor of Fr. Tetzlaff. The Tetzlaff Center expanded the capabilities of the school on a number of levels. For physical well-being, instead of using the church basement, St. Paul students now had a standard gymnasium with full locker rooms for phy. ed. as well as for school athletics. This allowed St. Paul School for the first time to host and accommodate teams for competitive school basketball games. For creative expression, students were no longer confined to the small, dim stage in the church hall with its small audience seating capacity. They could now hold plays and other productions on the large stage in the Tetzlaff Center's gymnasium with its ample seating for family, friends, parishioners and guests. For classroom academics, along with the locker rooms in the Tetzlaff Center's basement, there were also additional classrooms including science and computer labs. Fr. Rex Zimmerman came to St. Paul in 1988. The Little Rock Scripture Study began during Fr. Zimmerman's tenure and a large number of parishioners participated in its study of the Word of God. In 1992 Fr. Zimmerman celebrated the 25th anniversary of his ordination to the priesthood. He left St. Paul in April 1994 to be the pastor of St. Alexander in Port Edwards. The next pastor for St. Paul Parish was Fr. Jerome Hoeser. He had been pastor at St. James in Wausau for many years. During Fr. Hoeser's time at St. Paul, another of its sheep became a shepherd. Jim Retzner was ordained to the priesthood and he celebrated his first Mass as Fr. Retzner, OSA, in September 1995 in Mosinee. Three years later, in May of 1998, Fr. Hoeser celebrated the 35th anniversary of his own ordination. During Fr. Hoeser's time, the parish became debt-free. Discussion was brought forth regarding the updating of the church to make it handicapped accessible. Many areas of the parish also appeared to be in need of repair. Fr. Hoeser left St. Paul Parish in March 2001. Fr. Bernard McGarty willingly agreed to become the interim pastor. His enthusiasm and leadership were appreciated during the next few months. On July 17, 2001, after 15 years at St. Stanislaus in Stevens Point, Fr. Donald Przybylski began his tenure as the fourteenth pastor of St. Paul Parish in Mosinee. “Fr. Don” continued the plans to improve the parish. In 2002 a capital campaign was begun to build a larger, handicapped accessible church. On September 21, 2003, St. Paul Parish celebrated its 125th anniversary with the Most Rev. Raymond L. Burke, Bishop of the Diocese of La Crosse, celebrating a special Mass. Afterwards there was a reception in the school cafeteria and a dinner and program in the gymnasium of the Tetzlaff Center. On November 6, 2011 a new church was dedicated after 10+ years of planning and fundraising. Presiding over the dedication Mass was The Most Reverend William P. Callahan, OFM, Conv. and concelebrants were Rev. Donald L. Przybylski, Pastor, Rev. Msgr. Bernard McGarty and Rev. Wladyslaw Kowalski. The church was built on the current property, adjacent to the Tetzlaff Center. Several items from the old church were refurbished and used in the new church; statues, Stations of the Cross, stain glass windows, and the organ. The previous church was demolished for additional parking. The church has general seating for 640 and overflow seating capacity of 168.